Loss prevention and business insights for c-stores from March Networks, a global leader in intelligent video solutions. Violent crime, robberies, shoplifting and internal theft all threaten convenience store security and profitability. 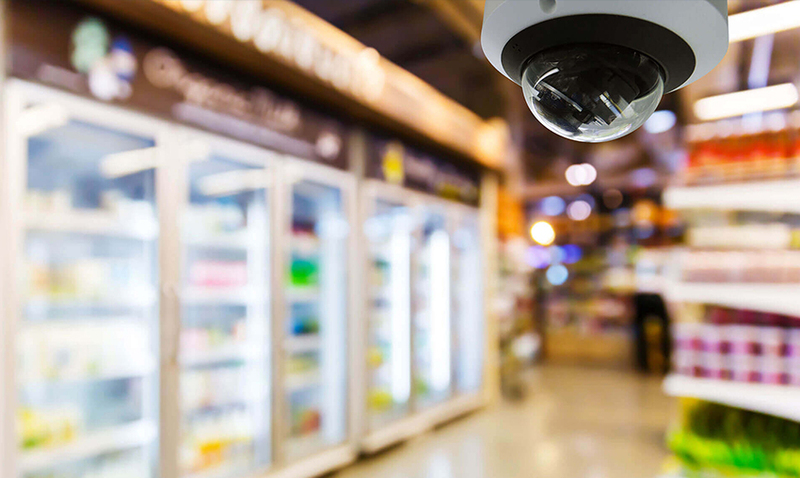 Protect your business with a hosted video solution that delivers real-time visibility into your stores without the hassle of maintaining your own surveillance network. March Networks Searchlight for Retail as a service combines surveillance video with point-of-sale (POS) transaction data and analytics, enabling c-store owner/operators to reduce losses, monitor multiple locations simultaneously, speed investigations and gather business insights that can improve operations and customer service. The best part? It’s available for an affordable monthly fee. Get started today for a low monthly fee! 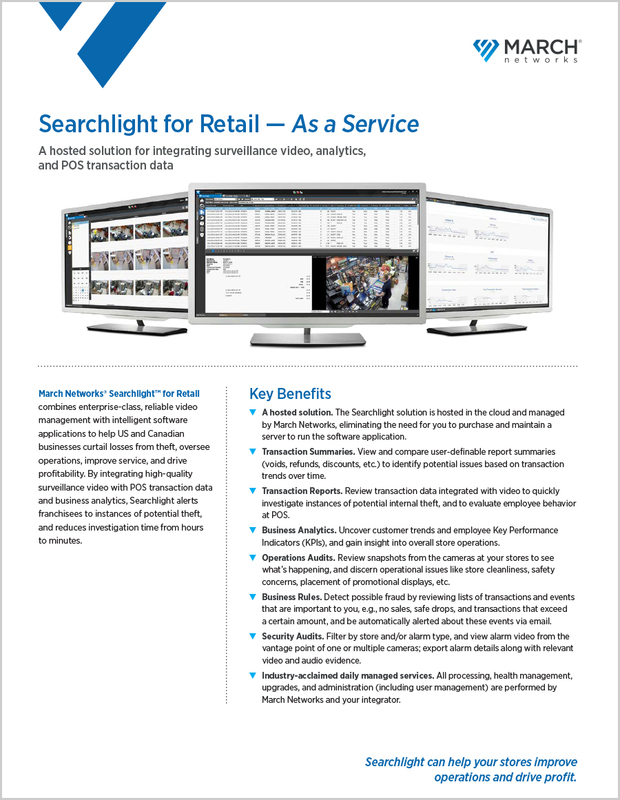 Get a free, no obligation demonstration of March Networks Searchlight for Retail as a service. 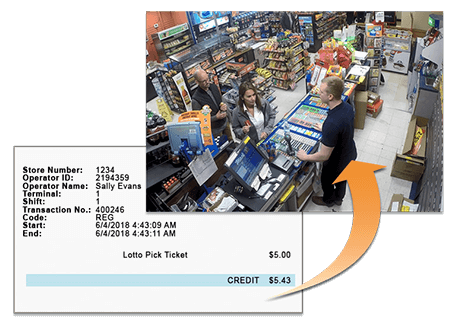 Enhance convenience store security without the burden of purchasing and maintaining your own video server. With Searchlight for Retail as a service, you can access video surveillance of all of your stores and receive custom reports that analyze important security and operational issues. Because the service is hosted and maintained by March Networks Managed Services team, our staff takes care of day-to-day system maintenance and administration, leaving you free to focus on your c-store business. 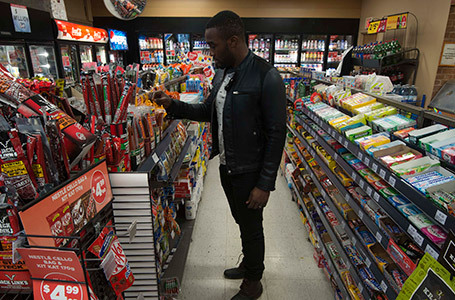 Keep an eye on your convenience store operations with Searchlight’s operational audits reports, which show you how clean locations are, if shelves are well-stocked, if employees are dressed properly and if procedures are being followed. Measure conversion rates, customer wait times and other customer service metrics with Searchlight’s integrated analytics. 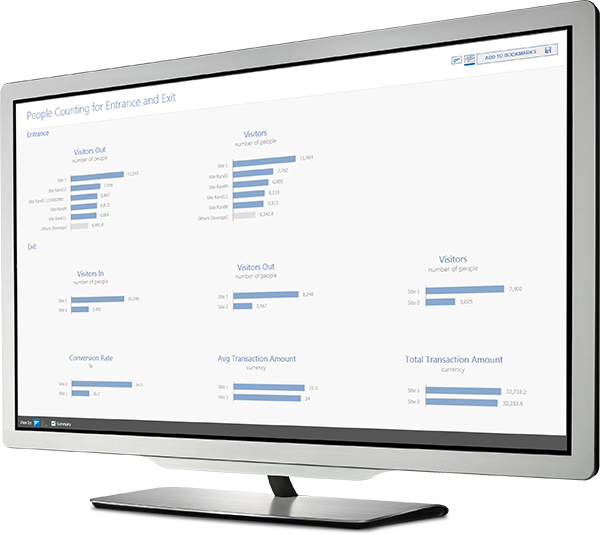 Easy-to-read dashboards make it simple to analyze, compare and share critical business information. More than 300 retail organizations use our video solutions. Contact us for a free no-obligation demonstration of Searchlight for Retail as a service.